Communications is critical to the landscaping industry, but it can also be extremely challenging. Multiple offices, often located hundreds of miles apart, must be linked together, customers must be consulted frequently, and many employees spend the majority of their time working remotely on-site. When the Brickman Group was moving office locations, the company decided that the time was right to upgrade their communications system. 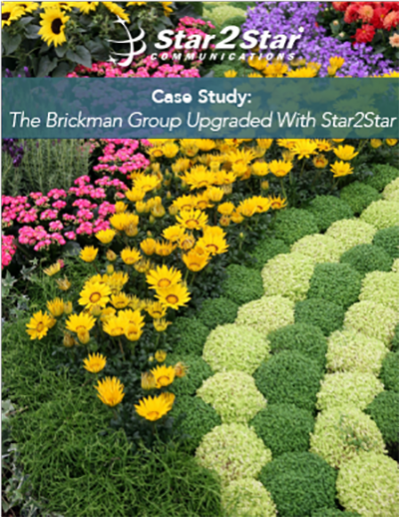 Read more to discover how Star2Star was able to improve the Brickman Group’s business operations in many ways, including disaster recovery and faxing.